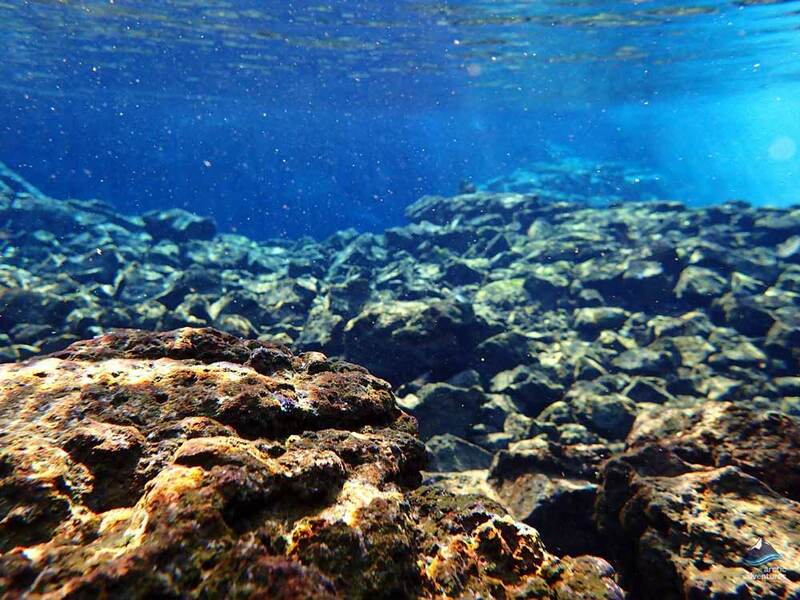 The Silfra fissure is one of the world’s most desirable snorkeling spots. Located in the heart of Thingvellir National Park, this narrow channel of blue water meandering through a giant lava field does not look like much on the surface. But below, supernatural shades of blue, perfect visibility and incredible rock formations make up a magical sub-aquatic paradise. As if this wasn’t alluring enough Silfra fissure is also the only place in the universe where you can go snorkeling in between the continental plates. Make your next big adventure a rare one! 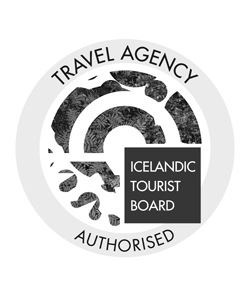 A historical site, national park in Iceland and a UNESCO heritage site. Originally known for being the place where Alþingi (the parliament) was founded in 930 this place had served a grand role in Icelander’s saga since the settlers came. Still today you can find ruins of old stone shelters, the lakes and the Lögberg e. Law Rock. The park sits on a rift valley caused by the separation of two continental plates, with rocky cliffs and fissures like the huge Almannagjá fault. In this separation sits the amazing Silfra fissure. Enjoy an amazing snorkeling experience as you drift peacefully in the comfort of a warm drysuit accompanied by our highly skilled guides. 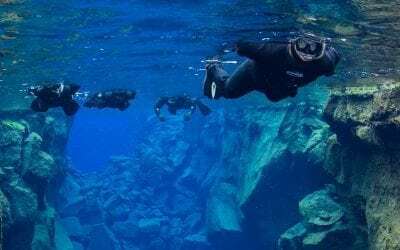 Silfra, frequently rated as one of the world’s top ten dive sites, is located between the tectonic plates of Europe and America so you will be snorkeling in between them. This is an experience like no other and Silfra is the only place in the world where this can be done. Take your Icelandic geology exploration to another level as you explore the crystal clear glacial water that runs from Langjökull glacier about 50 km away, water that has been filtering through lava for 100-200 years. Touch the moving lava rocks and get a feel for the power and uniqueness of Icelandic nature in complete calm. 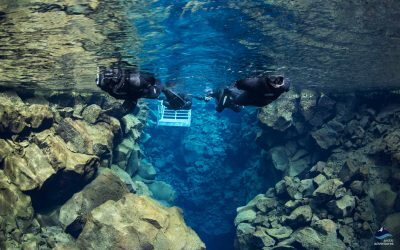 The visibility at Silfra is without comparison reaching somewhere around 150 meters. Some have described the feeling of snorkeling in Silfra like flying and others experience an ultimate state of meditation. Snorkeling in Silfra fissure is often called the liquid mediation and you will understand why when you try it! 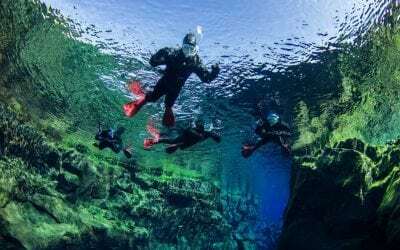 Silfra is truly a mesmerizing site and Into the Blue offers a relaxing but exotic trip in a highly unique and captivating environment. Whether you are an experienced snorkeler or a beginner this dive is an absolutely mesmerizing experience! Our experienced and well-qualified specialist diving guides will ensure you are provided with all of the proper equipment and information you need. Meeting point: The meeting point is Silfra car park in Thingvellir National Park. Please be ready in the Silfra car park to meet your guide 15 MINUTES before your tour is due to begin. If you are meeting us on location, the meeting point is Silfra car park in Thingvellir National Park. Click here for driving directions to where you can park your car (parking “Thingvellir P5”). To meet your guide: Walk 400m back along the road until you reach a smaller car park with all the snorkel and dive vans, and look for your guide. Please be ready in the Silfra car park to meet your guide 15 MINUTES before your tour is due to begin. 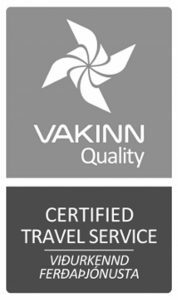 Pick up: For those who have chosen to be picked up in Reykjavík, the pick-up time is at 09:00 am / 13:00 am. Picking everyone up can take up to 30 minutes, your patience is greatly appreciated! If you choose the Reykjavik pick-up option, then you will return to Reykjavík around 13:30 pm / 17:30 pm approximately. Remember to bring: Warm undergarments, preferably fleece/wool (no cotton! ), warm woolen socks and a change of clothes (just in case). You will get a specially made suit to keep you warm and dry in the glacier water. 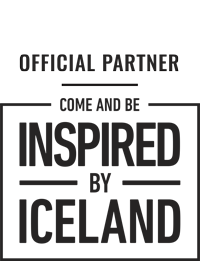 English: It is important that you can both understand and communicate in English in order to participate in the tour. The national park charges a small fee of 500 ISK for parking, you can pay with cash or card. This snorkeling tour was such a unique experience! Even with the cold temperatures and strong winds, the dry suit kept me surprisingly warm. Our guide was very funny and made the experience even more enjoyable. We met our guide at the meeting point which the directions we're clear. Our guide give us all of the equipment needed and give us information on the silfra. Once ready he made sure we were all happy and off we went. Thanks for a lovely adventure we we're truly looked after and the hot chocolate and cookies were greatly appreciated to warm us up. Would recommend. Tour guide was great, and the dive was so much fun. I was not cold at all and hot coco at the end was perfect. I really wish we would of bought the pictures from our guide, its worth it! Our guide, "Gummy", was excellent. He displayed confidence and expertise throughout the entire experience. He was patient and encouraging with customers that were having a difficult time. He was also very engaging and entertaining throughout the gearing up and orientation process. He made the time waiting in line to get into the water fly by. He represented Arctic Adventures very well. Taz was great! So sweet and accommodating. She gave us a heads up about the weather the next day and made us feel right at home. The Into the Blue tour was beautiful. The dry suit kept me mostly dry and comfortable in the water and the view was amazing. I wish we were able to actually swim a little more rather than float. I kept trying not to bump into the person in front of me and it distracted me a little. Dimitri was a great guide and really knowledgeable. 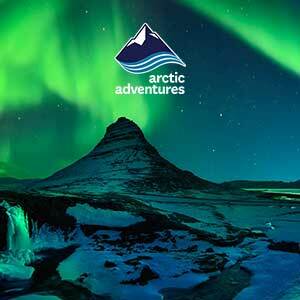 I had an amazing adventure with Arctic Adventures. I went snorkeling and saw the beautiful tectonic plates shimmering in the sun. The only downside was that it was really cold, but I knew what I was getting myself into. Plus, surviving the freezing cold water with a wet and dry suit on was half the fun! Had a great time snorkeling in the cold waters thanks to our awesome guide Andrew and his colleagues. A unique experience for sure, would highly recommend! Amazing experience. Mandatory tour in Iceland. The visual is incredible and the clothes protect you completely from the cold water. The only complain is that the explanation about the tour could be done before participants change their clothes. Everyone was felling cold for a long while. I was a little hesitant snorkeling in such frigid waters. My husband was the one that found the adventure. Once in my dry suit though it was not as bad as I thought. I’m from Florida... we snorkel in bathing suits but this was definitely amazing. The water was so clear! Our tour guide was hilarious and very informative. We never questioned what we should be doing or if we were doing it right. Everything was extremely organized and the cookies and hot chocolate at the end were a perfect touch. We loved snorkeling the Silfra. It was by far the highlight of our stay in Iceland! Our guide, Apollo, was friendly, knowledgeable, and entertaining. He made the trip fun and exciting for our small group! This is an experience we'll never forget. Our two guides and the entire team was wonderful. 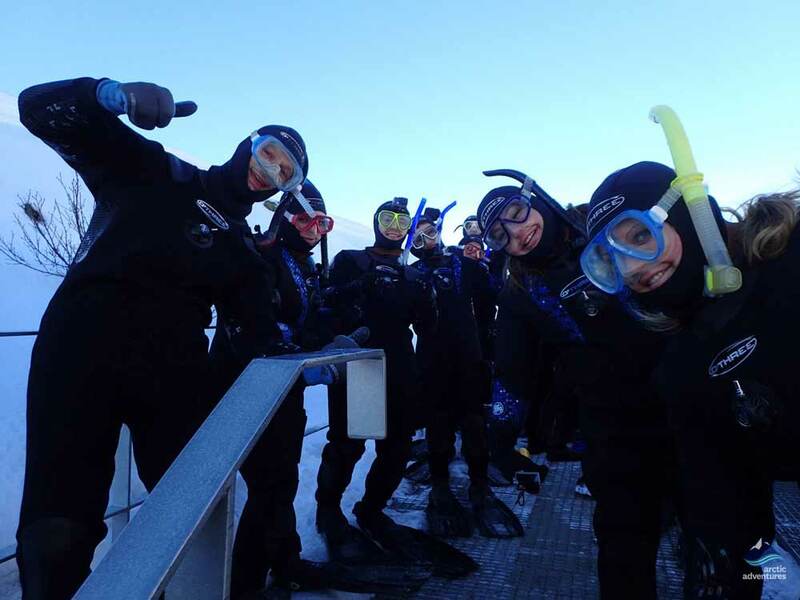 They made the once in th lifetime experience of snorkeling in Silfra smooth and fun experience. I highly recommend this tour to anyone willing to endure a little cold for a truly magical moment. 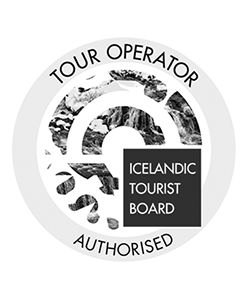 All of the guides I interacted with on this trip were extremely knowledgeable about the activity as well as Icelandic history which was very enjoyable to learn. The guides were all very nice, funny, and helpful. The experience is like no other! While the water is very cold you stay comfortably warm in the suit with the exception of your hands. It was absolutely beautiful. My husband and I had such an amazing time snorkeling with Arctic Adventures. The gear was fantastic and kept us plenty warm while exploring the beautiful underwater world. I will never forget the beautiful colors and the delicious glacial water. An experience of a lifetime in one of the most beautiful countries! We had the most amazing experience with Steve, his partner and the whole Arctic Adventures team. The whole team took plenty of time, patience with the kids, wife and myself kitting is up to make sure everything was comfortable and fitted perfectly. Steve spent time talking about the area, history and the snorkel. Never felt rushed and the snorkel itself was amazing. Thanks everyone at Arctic Adventures. Going to Iceland? 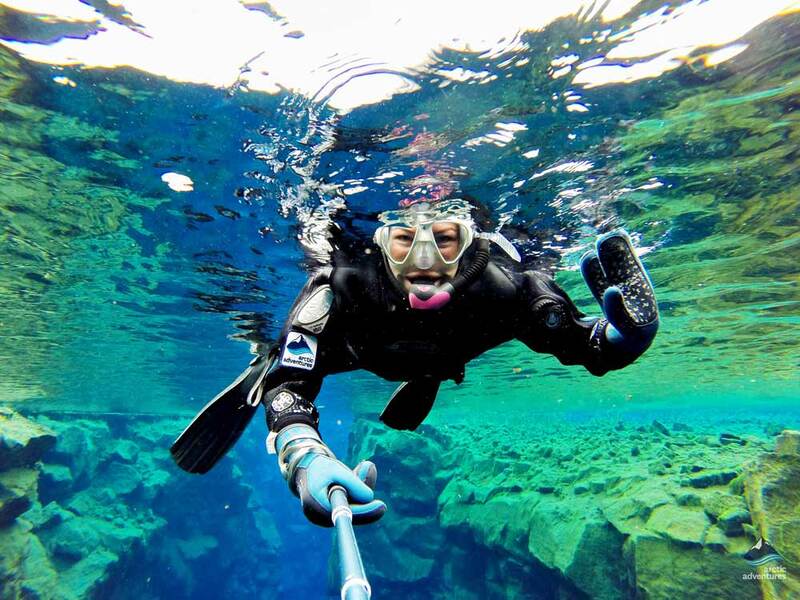 Clear your schedule and go snorkeling in SILFRA fissure with Artic Adventures. It's amazing! I booked this as part of our family trip to Iceland after reading the reviews. We were a tad nervous but all went well due to the wonderful staff. What you need to know: they provide a full ski-suit thing and a dry suit. You need to wear two pairs of good thick hiking socks - ideally wool based for warmth. Also wear one set of good thermals: top & leggings. You do not need a second set of thermals nor do you need a swim cap (as had been recommended in other reviews). Your face and a few fingers will get a bit cold during the snorkelling but nothing to worry about. Do this if you have a sense of adventure and are happy in water. 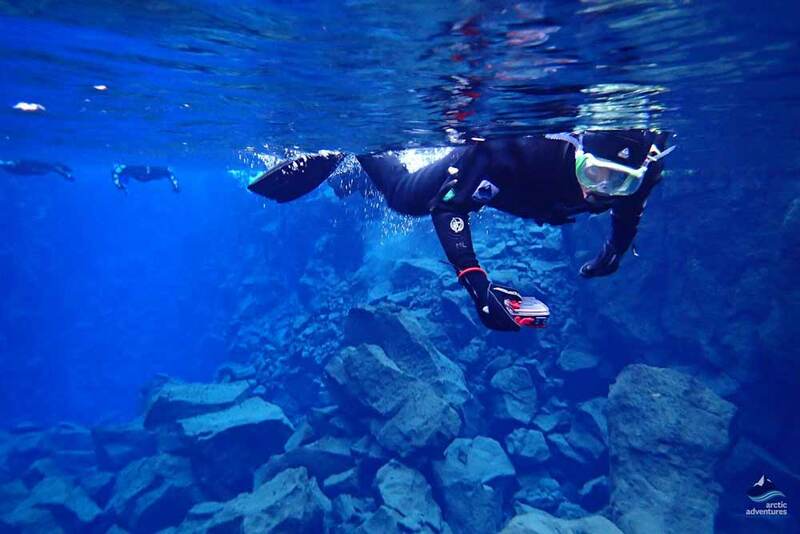 Where else can you snorkel in crystal clear water between tectonic plates!! 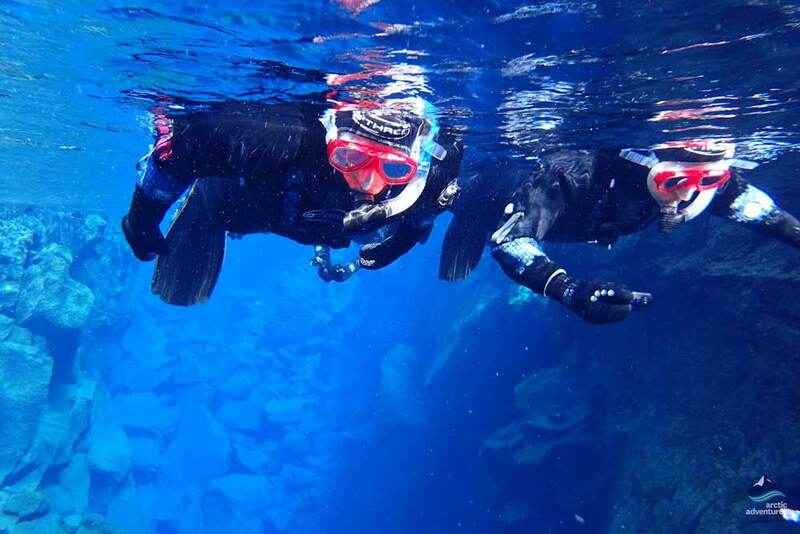 We had the best time snorkeling the Silfra Fissure with Arctic Adventures. Our guide gave a 10-minute overview of the region and history of the region before we got into the water, and there were lots of other guides on hand to assist with putting on the suits and answering our questions. Snorkeling Silfra was the most memorable adventure of our 8 day road trip around the Ring Road, and I highly recommend this tour and this tour company. 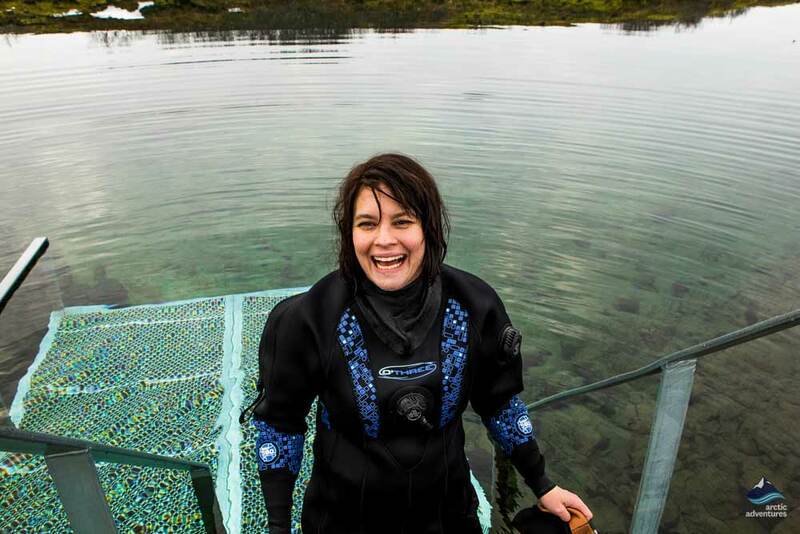 Sumergirnos en la fisura de silfra fue una experiencia única e increíble. Poder hacer snorkel entre dos placas tectónicas y en las aguas más claras del mundo es inolvidable. Además nuestra guía, Cristina, fue maravillosa. Nos ayudó en todo momemto y nos explicó perfectamente todos los detalles del parque natural y de la ruta que íbamos a hacer. En definitiva, una experiencia 100% recomendable. We joined the tour with snorkeling and horse riding. The driver seems don't have much idea on how we get back from the horse farm back to city. We were dropped off at the horse farm and the car has just go away, we though there will be pick up offer by Arctic Adventures to bring us back to Rek downtown, but we later understand that it is not the case and the return transfer is arranged by the farm instead. Lucky we were picked by the car offered by the farm. the Overall we enjoy the tour so much (even with cold weather in summer). It would be better if the guide/driver can share us more information on the overall rundown and transportation arrangement. Snorkeling with Arctic Adventures was amazing. Even on a cold rainy day the staff was cheerful and ready for us when we arrived. 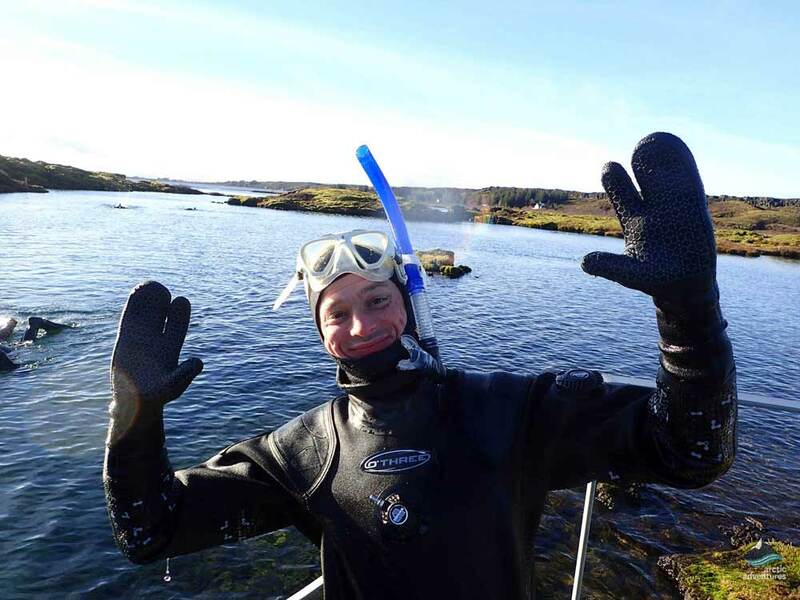 We geared up and got in the water and had quite an amazing time snorkeling around Silfra. If you want a totally different type of adventure I recommend this option! It was super fun!